As the name suggests, this Bus really do wonders. Riding on road watching Glamorous areas and beautiful water bodies is amazing, this tour offers it all; along with this it can also sail across these beautiful water bodies like a Boat. Without getting down from this bus you can ride on road as well as sail in water. Yes, this is an amphibious bus that can do both.We can assure that you will want recommend this tour to others and also wish to go for it again. 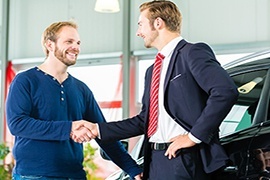 The pick up/drop off timing can be modified as per the trip schedule by 30 to 60 minutes, depending on traffic conditions and your location. Experience the splendors of the UAE’s capital city! After picking you up from your Dubai hotel or location, we head you out for a well-organized city sightseeing tour that gives you the opportunity to discover Abu Dhabi’s monumental gems, such as Sheik Zayed Mosque, Emirates Palace, Miraj Islamic Art Gallery, Heritage Village, and Date Market. This is followed by a lunch at Marina Mall or Heritage Village (not included in the price) and then a trip to Ferrari World Theme Park at Yas Island, where you’ll have unlimited access to all of its rides and attractions. This combo tour concludes with a drop off to your hotel or convenient spot in Dubai. Dubai Explorer makes it super convenient for you to admire the best of both Dubai and Abu Dhabi in full eight nights. 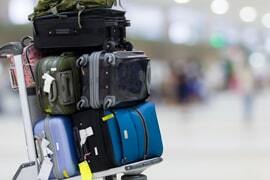 All facets of your Dubai vacation is well planned out means you’ll enjoy a comfortable stay in your desired hotel or resort and experience chauffeured transport for all tours / activities including to and from Dubai International Airport transfers along with a 4G SIM Card pick up when you are at the airport to stay connected with your family and friends. An expertly guided full day city tour will acquaint you to Dubai’s extensive repertoire of quaint historic, elegant cultural and the most stylish landmarks. On the other hand, a visit to Burj Khalifa – the tallest ever man-made structure on the earth – offers a regal experience of viewing the classy cityscape from its imposing 124th level observatory deck. Your Dubai holiday further includes a trip to IMG Worlds of Adventure – an exuberant, action-packed attraction rife with a host of exciting entertainment options. 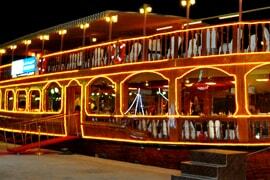 If nautical fun and adventure is top on your Dubai must-do list, you’ll be delighted to know that this vacation features several amazing options by way of a two-hour dinner cruise on the elegant Dubai Creek; one-of-a-kind amphibious tour known as Wonder Bus; and then a thrilling Yellow Boat cruise along the beautiful sights of Dubai coastline. You’ll also get the chance to go off the beaten, thanks to an impressive desert safari with dune bash, cultural activities, classic Arabian performances, and BBQ dinner. 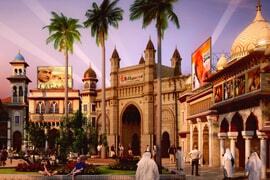 Moreover, make a tour to Bollywood Parks Dubai for absolute fun and amusement. Apart from going on a relaxed shopping tour, you’ll finally take a panoramic tour of Abu Dhabi with a full day city tour. 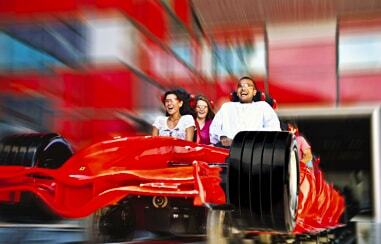 This also encompasses admission tickets to the world’s first Ferrari branded theme park at Yas Island. Great arrangements and beautiful experience!! Our big fat Dubai holiday, that is what we like to call it, was the best family holiday we had. Each one of us had an amazing time. Be it the Burj Khalifa tour, the city tour or the dhow cruise, we enjoyed every bit of it. However, the highlight was the desert safari. I loved dune bashing while my wife and children loved camel riding and sandboarding. The food and entertainment were great too. I thought 8 nights in Dubai would be too boring. But how wrong was I! There was never a dull moment during the trip. What made it the best was that every tour was well organized. Our stay was also in a comfortable hotel. I would like to say thank you to Rayna Tours for making this Dubai holiday so memorable for us! I wanted to enjoy the most since I had sufficient time for a vacation in my hand. All the research that I did for a tourist destination directed me towards Dubai and I chose “Dubai Explorer 8 Nights” organized by Rayna Tours. We were greeted at the airport by a polite driver who assisted us with our luggage. He was so talkative that we didn't realize when we reached our hotel. 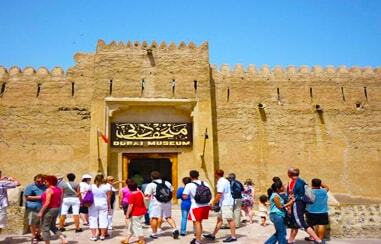 The next day, we started with full day Dubai city tour. Exploring the city was a fun. We enjoyed shopping and haggling at the Gold Souk and Spice Souk. We were amazed by the energy and excitement prevailing there. Our next stop was the amazing Bastakiya Quarter built in old-traditional style. Our tour guide briefed us about the history of this place, which was really interesting. After taking a coffee break, we then explored the enchanting Jumeirah. 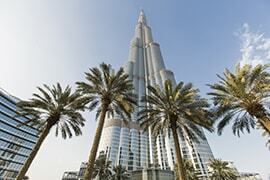 We then arrived at Downtown Dubai and relished the beauty of Burj Khalifa from outside. The Fountain Show in front of the mammoth structure spelled its magic on all of us. Our tour ended with a drop to our hotel. The Third Day of our tour was reserved for Burj Khalifa. The tallest structure is truly an architectural marvel. After showering an ocean of praise on the structure, we move to the Global Village. This place gave us a glimpse of pre-urbanized Dubai, which was as alluring as the modern Dubai. Day Four of the tour had us ride the Wonder Bus and explore the city through road and the water. The amphibious bus covered important tourist locations that were an epitome of prosperity. After the sunset, we were taken for a dhow cruise dinner. The air-conditioned and fully lighted traditional dhow was a floating restaurant and served us with delicious cuisines and entertainment. On Day 5, we rode the Love Boat which was just perfect for our group of 8. We felt like surrounded by celestial bodies looking the beautiful coastline and waterfront skyline from the middle of the ocean. We feasted our eyes on the glamorous Atlantis, Royal Mirage Hotel, and Burj Al Arab. After adventure and fun on the water, we then headed to the desert in the evening. The desert was like an open adventure ground and we had great fun and thrill going dune bashing, riding camel, watching belly dancing and Tanura dance show. We also loved the BBQ dinner and gorged on both vegetarian and non-vegetarian dishes. On Day 6, as usual, we were picked from our hotel in the morning and taken to Bollywood Parks. Since Bollywood and Dubai had a long connection, all the five zones that we explored inflated our knowledge on one of the most popular film industry in the world. On Day 7, we visited Sheik Zayed Mosque, Emirates Palace, Miraj Islamic Art Gallery, and the Heritage Village. All the monuments were a proud display of Islamic architecture and the deep feelings people of UAE have for their tradition. After relishing these beautiful structures and enjoying our lunch at the Marina Mall, we visited the Ferrari World. Each and every ride at this place was thrill and fun and made us felt forget our age. The last day of our tour was exclusively for shopping. From all the Souks to the fancy shopping mall, we literally left nothing and splurged to our will. When the driver dropped us at the airport the next day, we had collected lots of special memories.